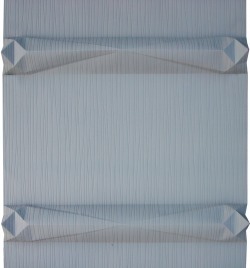 During adhering 3D wallpaper to a wall the user can make the pre-folded pattern three-dimensional. If he wants to keep some places flat, the pattern appears only as delicate , ornamental lines. It is siutable for old tenement houses, where the place above head stays without any ornaments or eyecatchers.